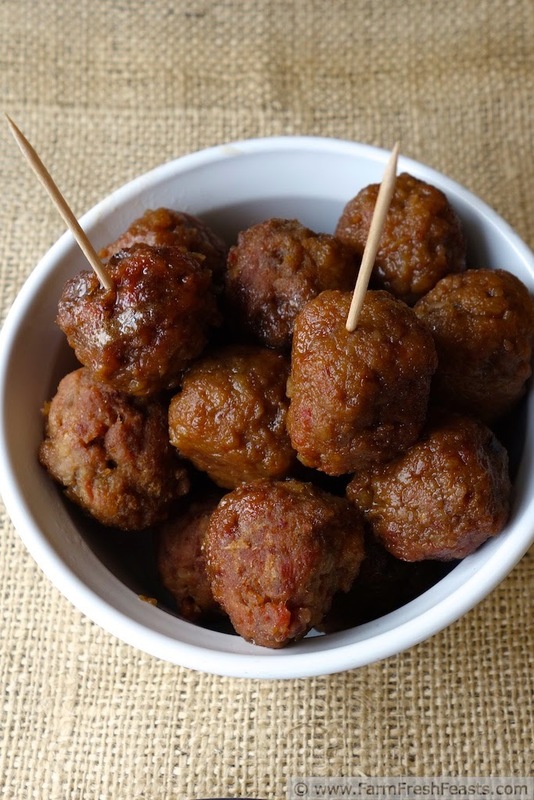 Ham and ground beef form the base of these meatballs, baked in a sweet and sour sauce. 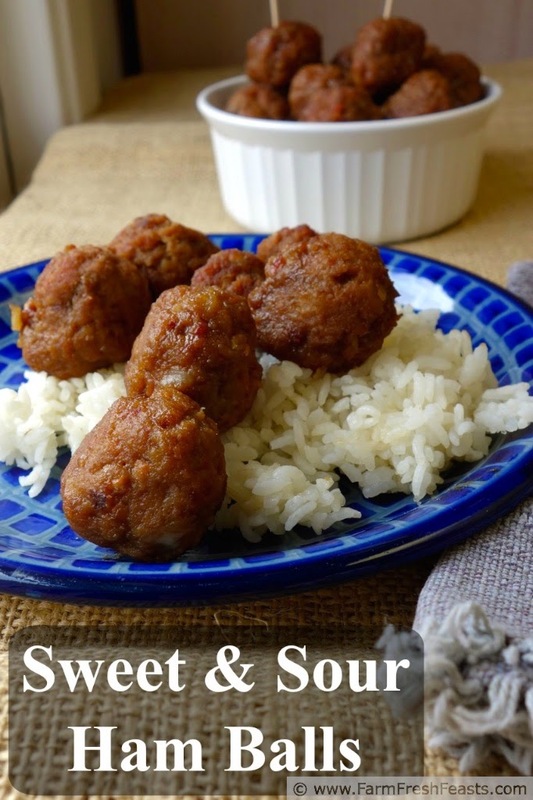 Great as an appetizer or over rice. Read on for how I upcycle one holiday ham into 2 new dishes. As my brain kicks over into Holiday Mode [doubtless spurred by the failures--shown on my FB page--when I branch out in a new cookie direction despite having a baking deadline plus production quota for the Airmen's Cookie Drive] I'm uncovering a tendency to value traditional flavors over the latest food fad. [Not that I'm up on food fads--I'm utterly behind the times in food and fashion both.] During the holidays it seems, more than usual, I need to make each kitchen session count. That's where the second half of the post title, Upcycling Food, comes into play. Making a beloved Thanksgiving Leftovers Casserole--layering mashed potatoes, stuffing/dressing, turkey and gravy into one yummy dish--is not upcycling. I'm not making something entirely different with the leftovers, I'm just repackaging the same goodness in a different container. While I love that casserole, it's not the concept I wish to expound upon. I want to talk about upcycling--making something entirely new out of previously used materials. When we moved in the back yard was partially fenced. We knew we'd be getting a dog [though we didn't know we'd get two more, then lose one, then get another--nor did we know that I'd start a blog and chronicle our pet population with pizza recipes] so we planned to have the partial fence removed and a new fence put in to completely enclose the yard. My clever spouse took a look at the still perfectly useful cedar fence and suggested he use it to make our raised beds. As you can see through my little collage, it worked. 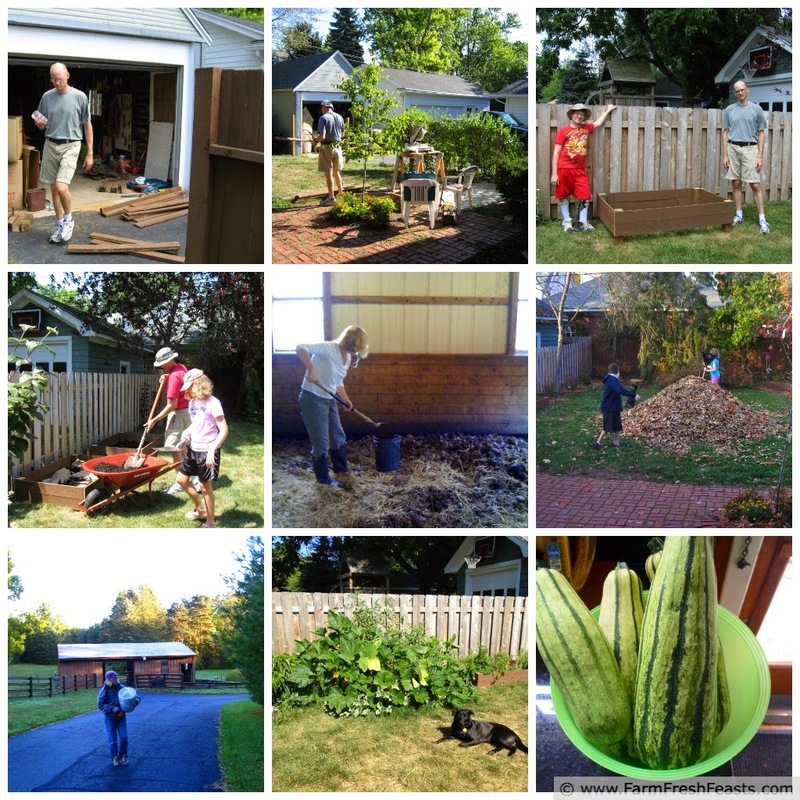 He upcycled the fence boards into raised beds which we filled with dirt, manure, leaves, and more manure. Then I grew food. It always comes back to the food with me. This recipe is from my grandma (Mrs Harry Olsen of Fort Frances, Ontario) who was given it by Kathleen Smith (Mrs George C.B. Smith). When my mom wrote in the notes that it was given to my grandma 'years ago' we're talking a long time ago! This recipe has been made in our family since when, Mom? Preheat oven to 325 degrees Fahrenheit. Place ham and onion in a food processor and chop finely. 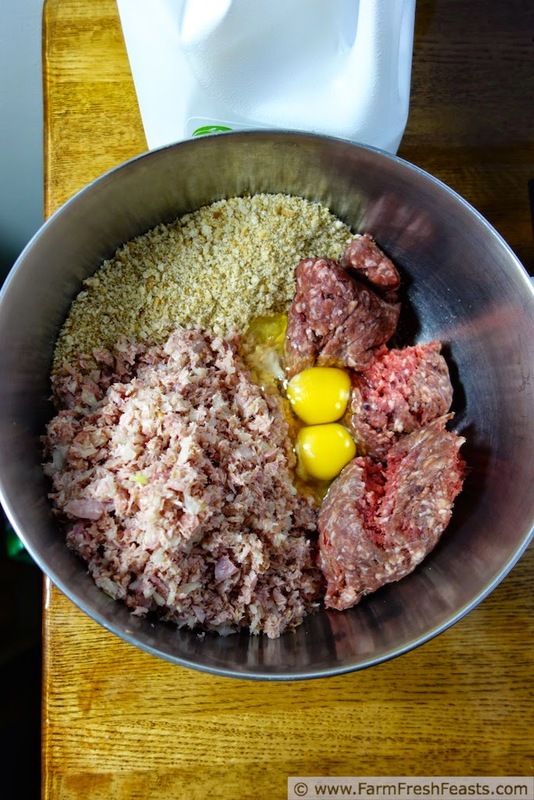 Transfer to a large bowl and add ground beef, bread, milk and eggs. Mix thoroughly. 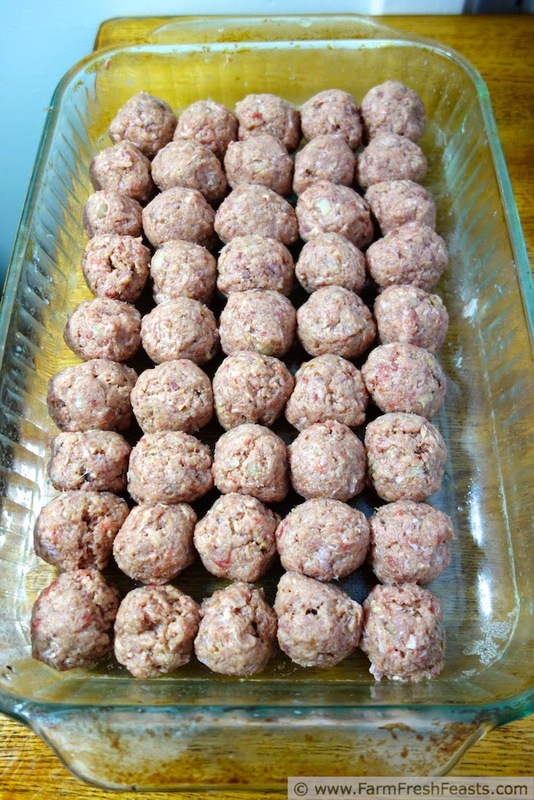 Scoop (Amazon Affiliate link) into 1 inch balls and place in a shallow baking pan (9x13 inch). Mix remaining ingredients together in a medium saucepan and bring to a boil. 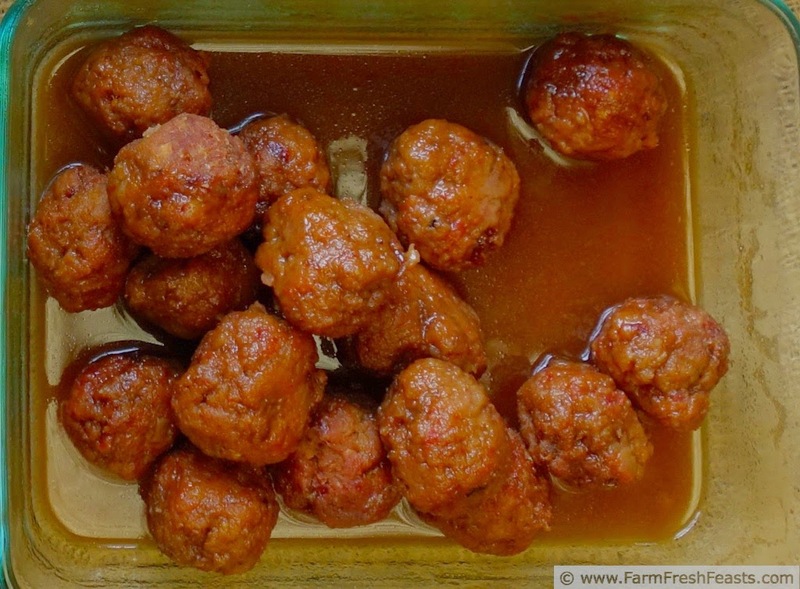 Pour sauce over raw meatballs. Bake, uncovered, for 40 minutes, stirring every 10 to 15 minutes to coat the balls in the sauce. Serve as is for a hot appetizer, or serve over rice for an entree. 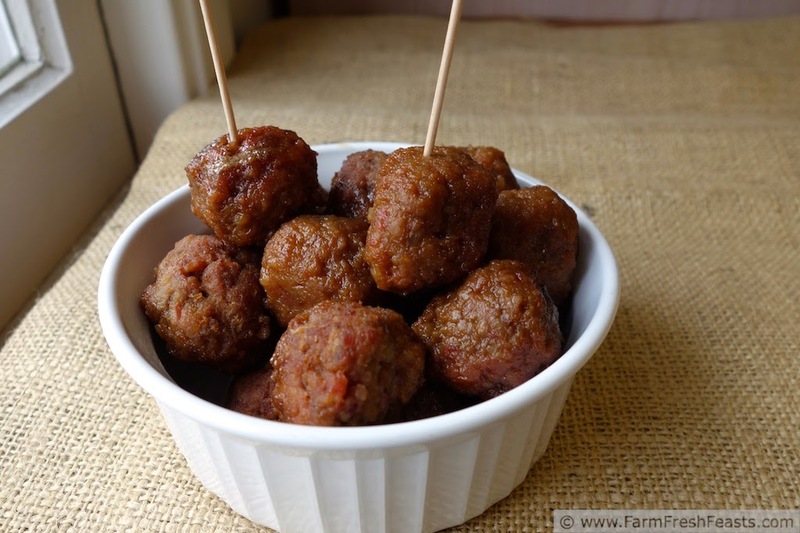 These meat balls freeze well. Thanks for the feature! Much appreciated--due to your website I can say I have an INTERNATIONAL following!